Here is a partial list of John’s upcoming presentations and book signings. Watch the website for updates. To bring John to your school, library, or bookstore, contact him by email at jjmj197@comcast.net or through this website. 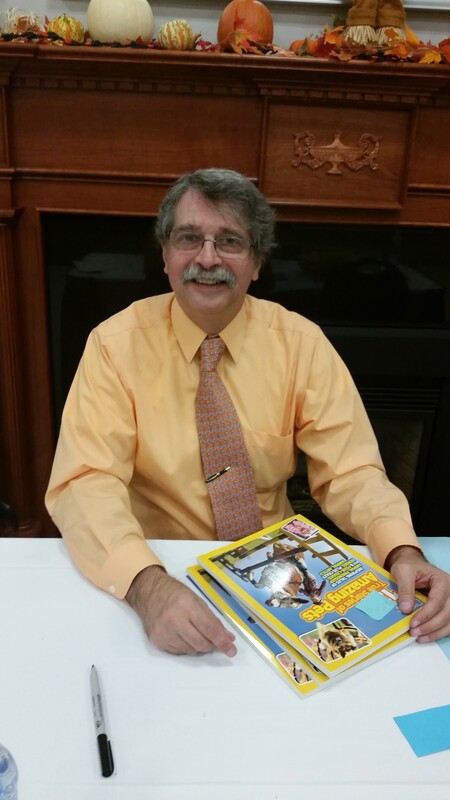 Oct. 10: Keystone State Reading Association at Hershey, PA, 1:30 to 2:30 p.m.
Oct. 17: Hockessin Library Story Time, 10:15 a.m.
Nov. 8: Greenwood Public Library, Greenwood, DE, 10:30 a.m.
Sept. 9: Barnes & Noble, Main Street, Newark, noon to 2:00 p.m.
Oct. 6: The Palette & the Page, Elkton, 5:00 to 8:00 p.m.
Oct. 28: Barnes & Noble, Concord Pike, Wilmington, noon to 1:00 p.m.
Nov. 4: Hockessin Art & Book Fair, Hockessin PAL Center, 11:00 a.m. to 3:00 p.m.